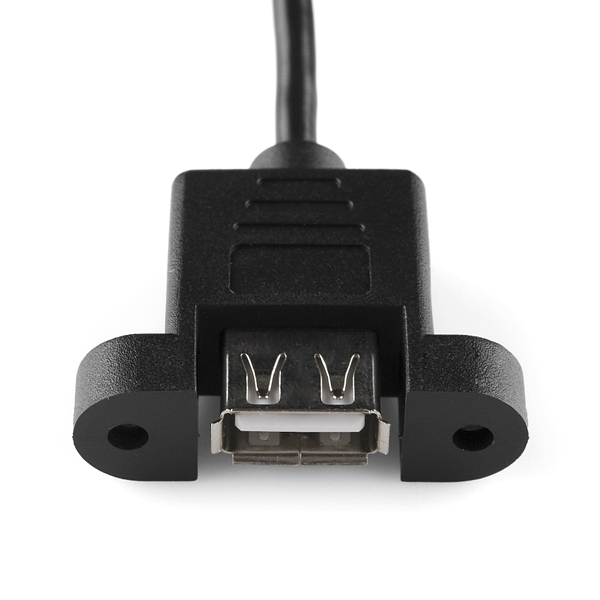 I'd like to see the "same" thing, but with a female USB B jack instead of A. Those seem to be harder to find (although I've found some) and are very useful when you put things into enclosures. I'd like to see a USB B Jack as well. FWIW; a post like that deserves a "where you found them". Thanks! 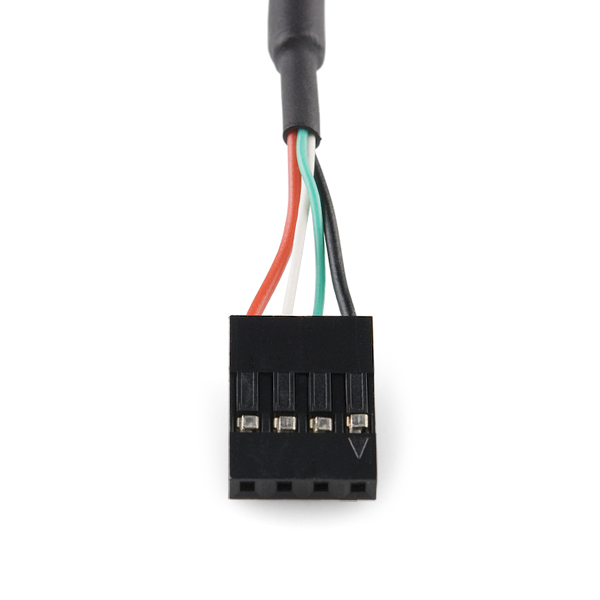 What is the best option for connecting the header into a connector? Do you sell it here? 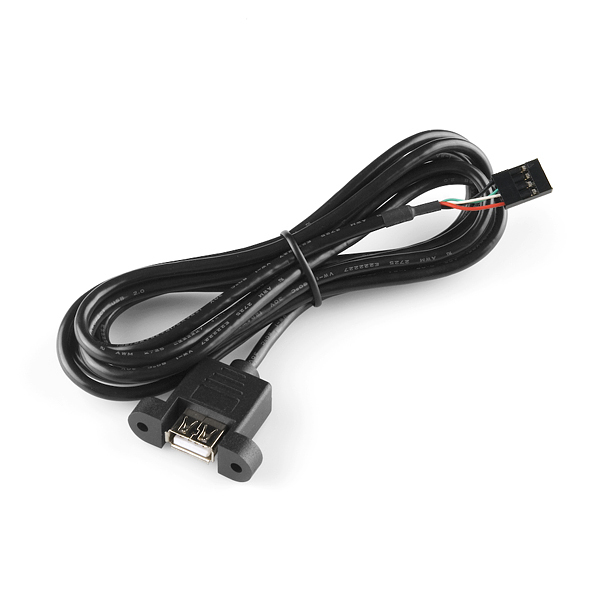 I ordered this and a set of breakaway headers only to find that the connector end fits very loosely onto them, if at all.... This is a great product by the way - very happy with the quality. This product will be great for my charging station project. I too would love to have this with a USB B connector. Nice. Much better than those 12-18" cables that come with most motherboards!